Raj Kumar Birla - Fortune Telling :: sidetaker. PRAVEEN AND VISHARAD IN JYOTISH AND PALMISTRY. 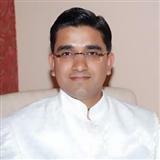 My name is Raj Kumar and an expert in Indian Vedic Astrology.Astrology does not means that I will tell you the good things always but rather the truth of your life which can be sweet or sour.I can suggest you Gems,stones to wear which will help you to solve your problems.I can help you out in various ways by studying your birth chart in detail.I started exploring the powerful influence of stars at a very young age, since it has been around 10 years now.I believe in my intuitions and my power is GOD. Just allow me to share your problems with me and give a chance to help you out. Just give your Date, Time and place of Birth and lets help you in making your future bright. I like you. First time advising and he was on point with anything. Thank you so much for helping. Amazing as ALL ways !! One of the most honest people on here!!! Worth every penny! been a client of Raj for many years, still returning for advice every now and then. detail and accurate. highly recommended! !